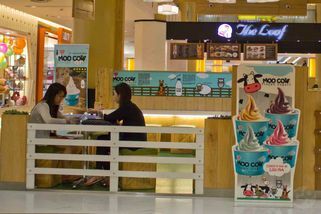 If you love ice cream but interested to get healthier alternative, you may give Moo Cow Frozen Yogurt a spin try. Founded in 2010, Moo Cow Frozen Yogurt becomes a new hit in town. 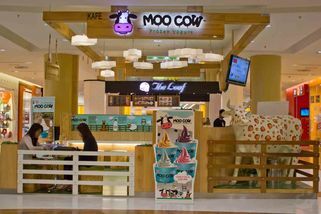 Establishing widely across the Klang Valley, bringing in more wholesome goodness of healthy yogurt, Moo Cow has now created a new craze of fresh, all-original cow-milk yogurts. Only comes in two flavours, Original and Mango, the new establishment hits popularity like a wildfire. With their unique selling point, where they use only live ABT culture and no powder mix, the frozen yogurt has only contain a mix of yogurt, milk and certain ‘stabilisers.’ The culture, on the plus point, is a product from the owner’s own fermentation. Hence, no worries on its freshness, healthy points and taste. Ideally, should you prefer toppings to give the frozen yogurt some extra flavours; you can try their seasonal toppings, changeable on monthly basis. Head down to your nearest Moo Cow Frozen Yogurt store to taste on their healthy frozen yogurt without guilt.